Case Keenum is a famous name in American football for being the only quarterback in Division I FBS football history to have passed for over 5,000 yards in each of three seasons. Keenum ranked first among NCAA Division I FBS career passing yards leaders by total passing yards (19,217). He finished college football at Houston Cougar as NCAA’s all-time leader in total passing yards, touchdowns, and completions. The former Houston Cougar quarterback was named to multiple All-American lists for his on-field contributions to Cougar’s success. He signed with the Denver Broncos on March 14, 2018, to a two-year contract worth $36 million, but here’s how he got to this soaring point of his career. Casey Austin Keenum was born on February 17, 1988, in Brownwood, Texas and spent his childhood in Abilene, a city in Taylor and Jones Counties in West Texas. He is the son of Susan and Steve Keenum who also played football as an offensive lineman and served as head football coach and athletic director at McMurry University. It’s no wonder he became a fan of the game, precisely the Cougars at a very young age. Keenum attended Wylie High School in Abilene where he actively played football and posted a career record of 31-11. He committed to the University of Houston as its the only university that offered him a scholarship. Case Keenum finished his high school football career passing for 6,783 yards with 48 touchdowns and rushed for 2,000 yards recording 41 touchdowns. He also led his team to a 17–14 victory over Cuero High School, in the Texas Class 3A Division I championship game, in 2004 – which remained the schools only state championship as of the end of the 2015 season. He continued his college football career at Houston Cougar in 2006 but was redshirted the entire season until he got his chance after the starting spot was left open. He competed for the starting quarterback and won the spot over sophomore Blake Joseph later during the season. Keenum made his first collegiate appearance on September 1, 2007, at the Cougars’ opening season at the Oregon Ducks. He ended that year’s game with 2,259 passing yards, 14 touchdowns, and 10 interceptions in all thirteen games and was recognized as CollegeSportsReport’s Division I FBS National Performer of the Week in his team’s third game of the year against the Colorado State Rams. In 2008, Case Keenum became the second player in school history to complete more than 5,000 passing yards in one season. His team made great improvements that year, winning their first bowl game since 1980 with a victory over Air Force, and defeating two nationally-ranked opponents. During the rest of his seasons with the Cougars (2009-2011), he earned the Conference USA Preseason Offensive Player of the Year, for three consecutive years; set the all-time NCAA Division I passing touchdowns record with nine touchdowns on October 27, 2011; the College Football Performance Award for 2009; and several NCAA records. He finished his college football career with a total 19,271 passing yards for 155 touchdowns and rushed 897 yards for 23 touchdowns; setting a career completions in a 37–7 win over SMU on November 19, 2011. Keenum moved on to play professionally as an undrafted free agent and signed with the Houston Texans where he spent his entire rookie season (2012) on the Texans practice squad. He made his pro career debut on October 20, 2013, as the starting quarterback for the team but was waived by the Texans on August 31, 2014, and was subsequently claimed off waivers the next day by the St. Louis Rams. He spent three seasons (2014-2016) playing for the Houston Texans and the St. Louis Rams (now Los Angeles Rams) as both teams serially waived and reclaimed him on a number of occasions. He had second stints on both teams and won his first NFL game on December 21, 2014, with the Texans, followed by another on December 28. In all four seasons with the teams, he played in 26 games, passing 5,224 yards for 24 touchdowns and rushed 163 for 2 touchdowns. On March 31, 2017, Keenum joined the Minnesota Vikings under a year contract and started on Week 2 game against the Pittsburgh Steelers. He made career highs with the franchise, leading his team to several victories including a 10 seconds miraculous 29–24 win in the NFC Divisional Round against the New Orleans Saints. He completed the season with a total of 22 touchdowns, 3,547 passing yards, a passer rating of 98.3 and 7 interceptions. 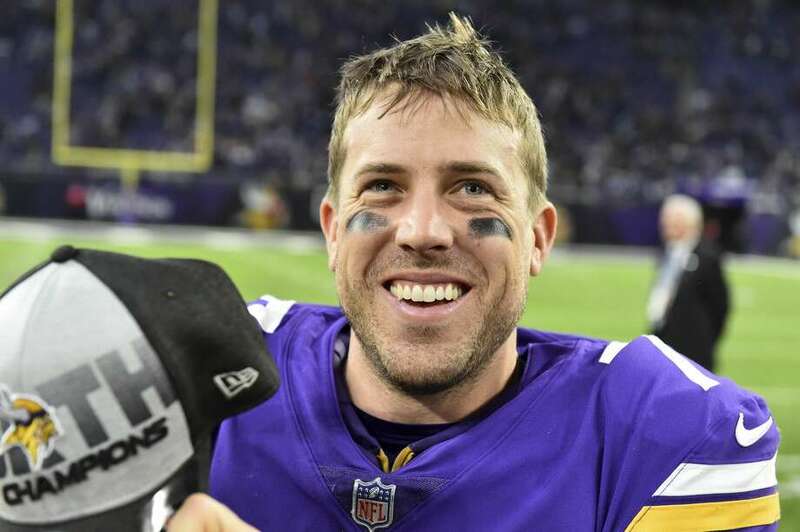 As the Vikings didn’t retain Keenum after his contract ended and he became a free agent but soon signed a two-year $36 million contract with the Denver Broncos on March 14, 2018. Meanwhile, Keenum graduated in December 2010 with a bachelor’s degree in Business Administration from the University of Houston Bauer College of Business. He also enrolled for a master’s degree in Physical Administration, concentrating mostly on Sports Administration, in the University of Houston College of Liberal Arts and Social Sciences. His book titled: Playing for More, in collaboration with Andrew Perloff, was published on 4 September 2018. Keenum’s height of 6 feet 1 inch (1.85m) limited his chances for the NFL draft, despite his excellent college stats, according to his profile. At the NFL Combine, he rated in the 11th percentile in height and weight, 14th in arm length, 15th percentile in hand size and 13th in broad jump. Case Keenum’s 2017 salary was $1.91 million and his career earnings over seven seasons is $25.16 million, which ranks 484th among active NFL players in the 2018/19 season. His 2018 deal with the Broncos fetches him a whopping sum of $36 million with $25 million guaranteed at signing. Plus, a fully guaranteed $8 million 2018 salary; a signing bonus of $6 million and a $4million 2018 roster bonus. He has a 2019 salary of $18 million, guaranteed against injury – of which $7 million of it is guaranteed at signing. 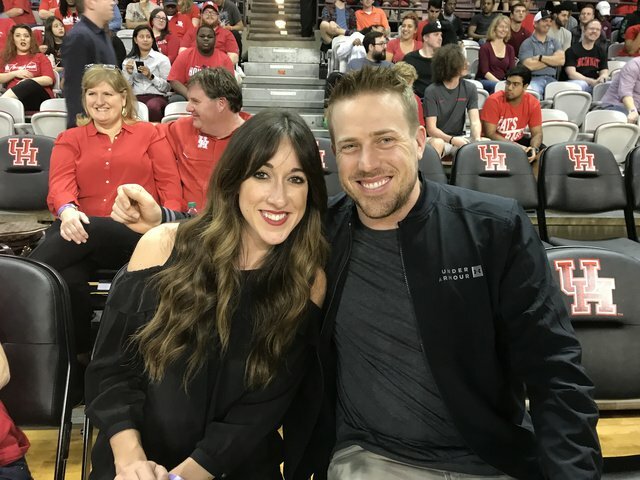 Case Keenum got married to his wife Kimberly Caddell in June 2011 while still attending college at Houston University. However, they knew each other from childhood but started dating officially after meeting at a Fellowship of Christian Athletes event in high school. The couple currently lives in Minnesota.